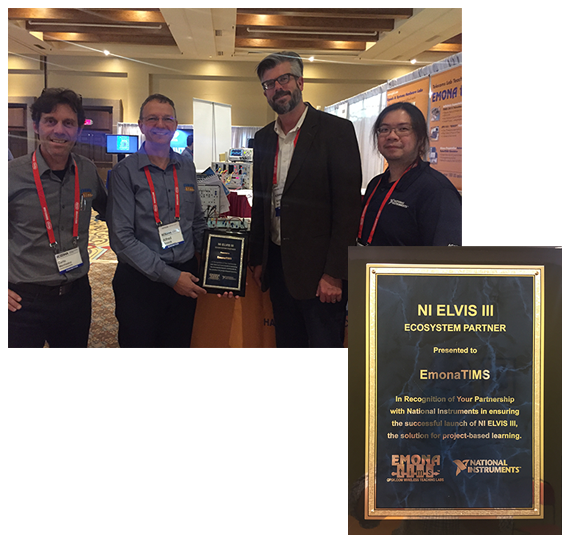 Emona TIMS was presented with a plaque by National Instruments (NI) at the recent "Electrical and Computer Engineering Department Heads Association" (ECEDHA) 2019 Annual Conference in Tuscon Arizona USA. 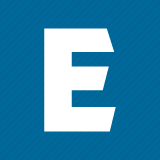 As an NI Ecosystem Partner, Emona TIMS was recognised for our role in ensuring the successful launch of NI ELVIS III, NI's solution for project-based learning. Pictured above receiving the plaque from National Instruments are (L to R) Carlo Manfredini, Emona TIMS R & D Director, Alfred Breznik, Emona TIMS Sales Director, Andy Bell, National Instruments Director Academic Programs and Gabriel Mok, National Instruments Product Manager Global Education Partners. Emona TIMS was approached by NI in 2006 to create a telecoms teaching top board for NI ELVIS, resulting in Emona DATEx. Since 2007, Emona TIMS has supplied NI with over 5,000 top boards for NI ELVIS.